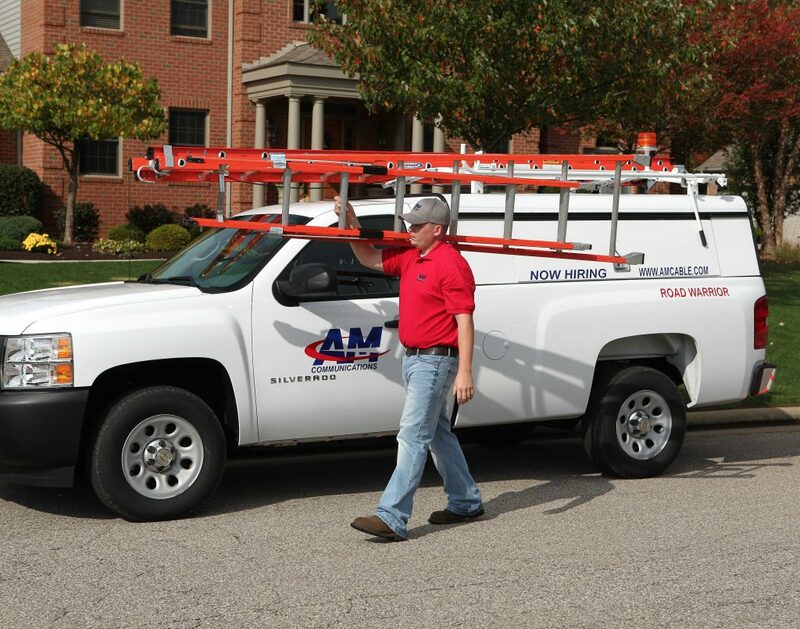 AM Communications is a rapidly growing installation services provider that has set itself apart from the competition with our focus on integrity, quality and the customer experience. We provide installation of phone, data and video services to companies throughout the region. Our emphasis on technology, training and safety allow us to provide our customers with a solid product that meets or exceeds expectations. As a company, we are team oriented and work together to achieve superior performance and enhance the customer experience with the products we install and service. We are looking for career-driven individuals with a strong work ethic to join our team. No experience? No problem. We offer a comprehensive technician-training program that includes instructor-led classroom training, as well as on-the-job training with a certified field trainer. Areas of focus include basic and advanced cable installation and troubleshooting, customer service, ladder certification, driving certification, and in-depth safety training. Our compensation program rewards individuals with a strong work ethic and a focus on productivity. We take pride in being a market leader with competitive compensation structure. AM Communications offers a competitive benefits package, including medical, dental, vision, and disability insurance as well as company-provided life insurance. In addition, we also offer a 401k retirement savings plan. As an employee-based company, all technicians are provided with a late model company vehicle that comes equipped with a gas card, ladder, signal test equipment and safety equipment. View the full job description for our installation technician position. Our mission has been simple: provide the best quality service and customer experience in the industry. We have achieved this by developing a highly motivated and skilled workforce supported by one of the industry’s strongest management teams.